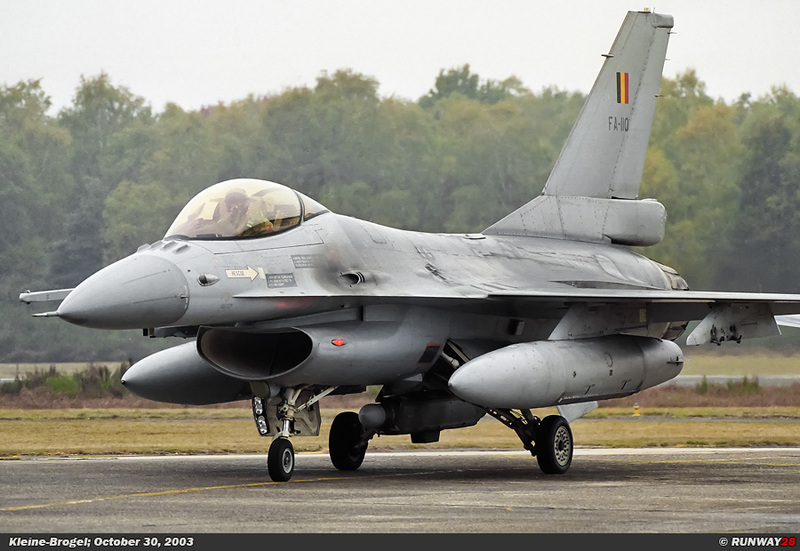 On Thursday, October 30, 2003 the now annual recurring spotter’s day at Kleine-Brogel in Belgium was on the program. 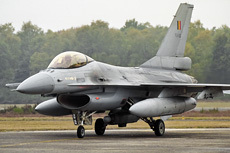 During the day it is possible to stand very close to the taxi track and the runway of Kleine-Brogel. 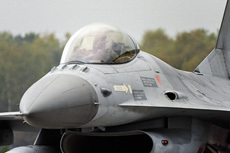 The spotter’s day is with a wide range of modern aircraft and excellent opportunity for action photography. 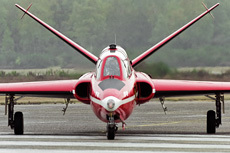 Today's weather did not really cooperate during the spotter’s day at Kleine-Brogel. The sky was dark when I arrived at the airbase. Unfortunately, this was not going to change today. 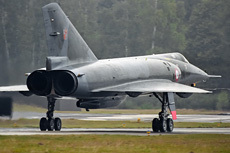 The air base was covered under a thick layer of clouds and there were heavy showers from time to time. 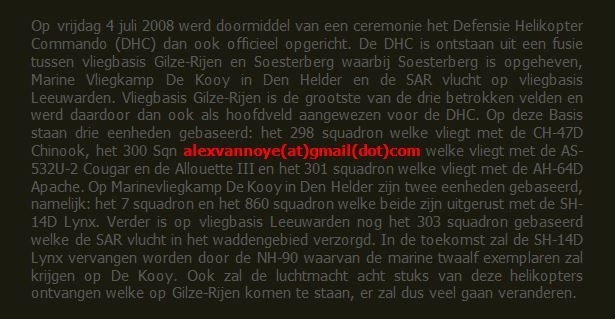 That’s too bad, because spotter days are always very well organized at this Belgian airbase. 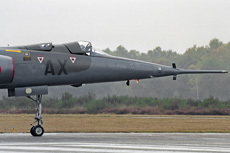 There were a number of very special aircraft present during this edition of the spotter’s day. 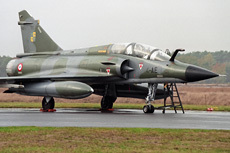 Unfortunately, I didn’t take photos of the largest part of the aircraft which were present due to the very bad weather. It is a big disappointment when the majority of the aircraft isn’t flying. Fortunately there were plenty of aircraft which flew during the spotter’s day. There are less people present at the spotter’s day compared to other editions of this event. 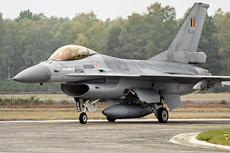 After I was through security, I went straight to the head of the runway of the airbase. I almost immediately found a nice spot along the runway. Taking photos along the runway with heavy rainfall is a big challenge; therefore I decided to shoot some nice shots along the taxi track. 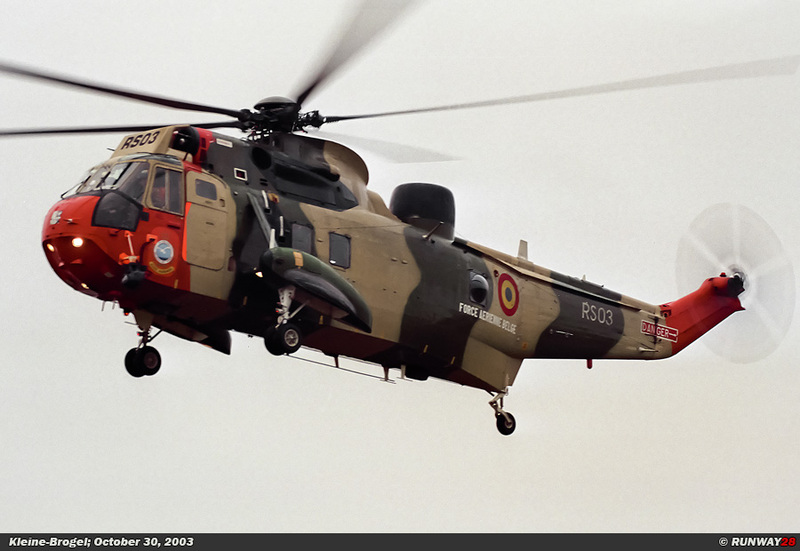 A Belgian Sea-King from Koksijde Air Base came in after about one hour. It was immediately clear that I had found a nice place for all the landing traffic along the runway with the possibility to shoot on the taxi track as well. Al the aircraft taxied along me and I was able to shoot some decent shots of the departing aircraft. 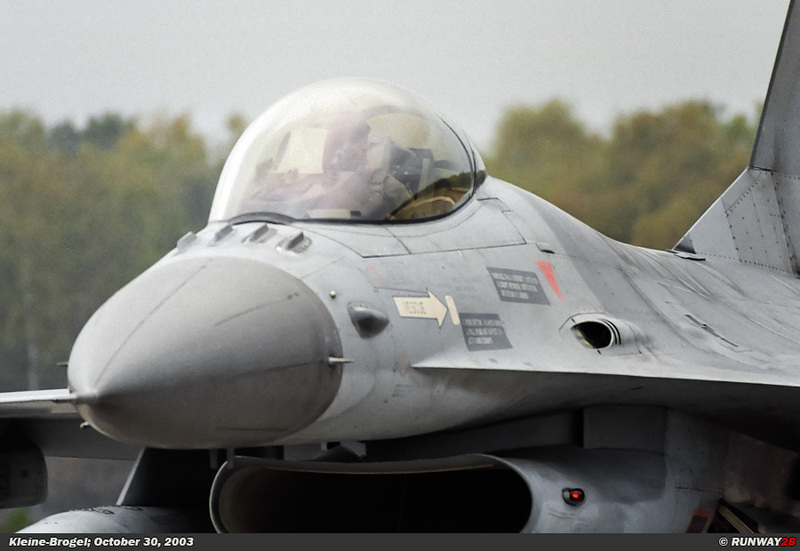 touch and go too at Kleine-Brogel. The E-3 has a lighter color scheme compared to the Tornado which makes it easy to capture on photo. 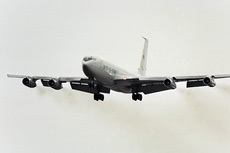 The AWACS climbed away when the aircraft passed me. My position along the taxi track was near the end of the runway; however the AWACS stayed relatively low after its touch and go. Therefore I could make a few nice photos of it. 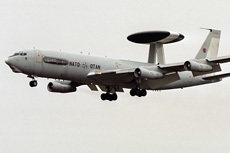 Shortly after the departure of the AWACS, a CT-49 appeared on the horizon which was also from Geilenkirchen. 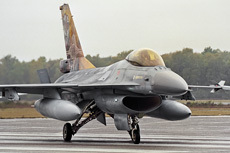 This aircraft is at Geilenkirchen in use to train the AWACS crews. The big difference with the AWACS is that this aircraft has no radar dish on top of the fuselage. 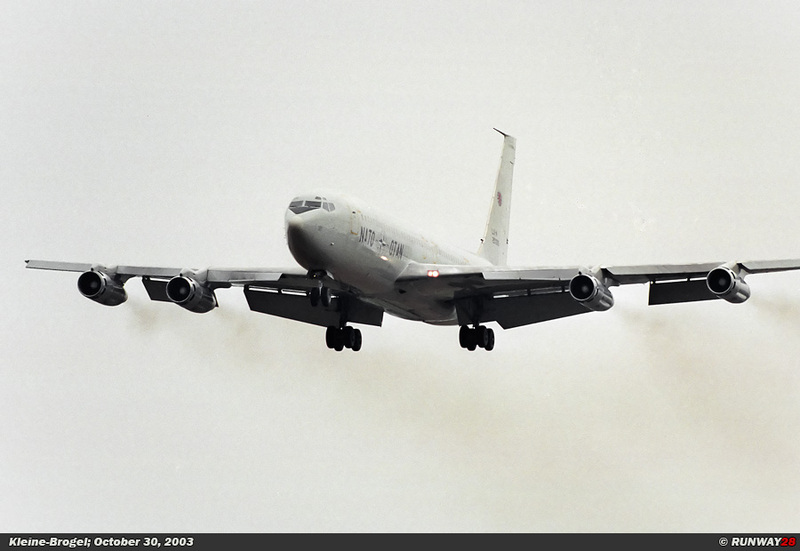 Unfortunately, this aircraft past me a little bit higher in the sky compared to the AWACS which previously passed. Despite this fact I was able to make a nice picture of it when the CT-49 passed me. Luckily it had stopped raining when the first planes returned from their mission. 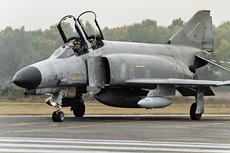 The first plane which landed was an F-4F Phantom of the German Luftwaffe. 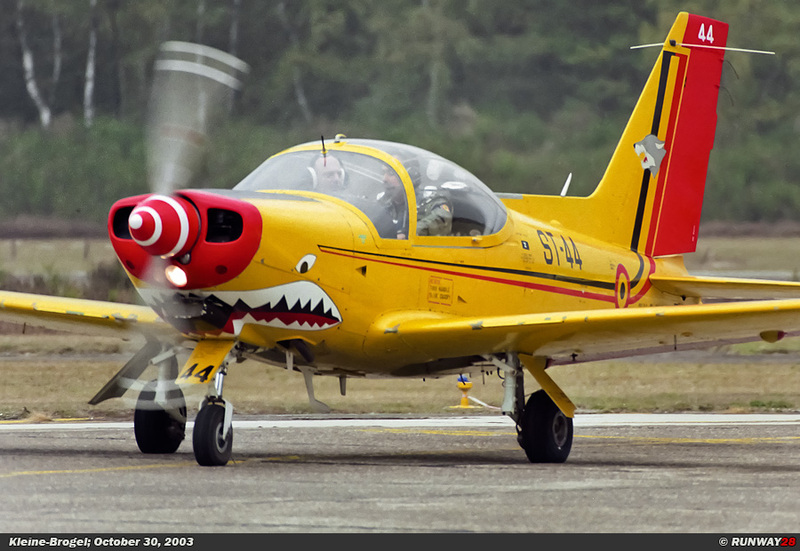 The plane taxied to the end of the runway to drop the brake chute in the grass along the runway. 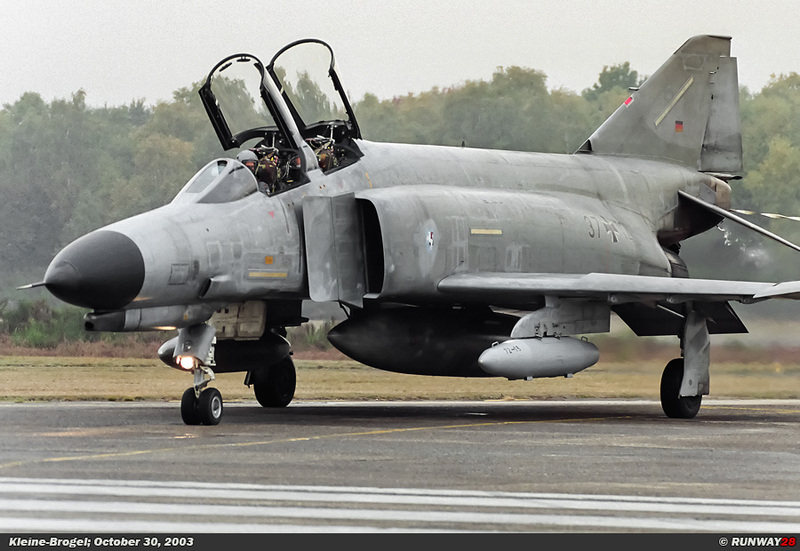 The Phantom which had landed was assigned to Jagdgeschwader 72 which is based at the German airbase Hopsten in the province of North Rhine-Westphalia. 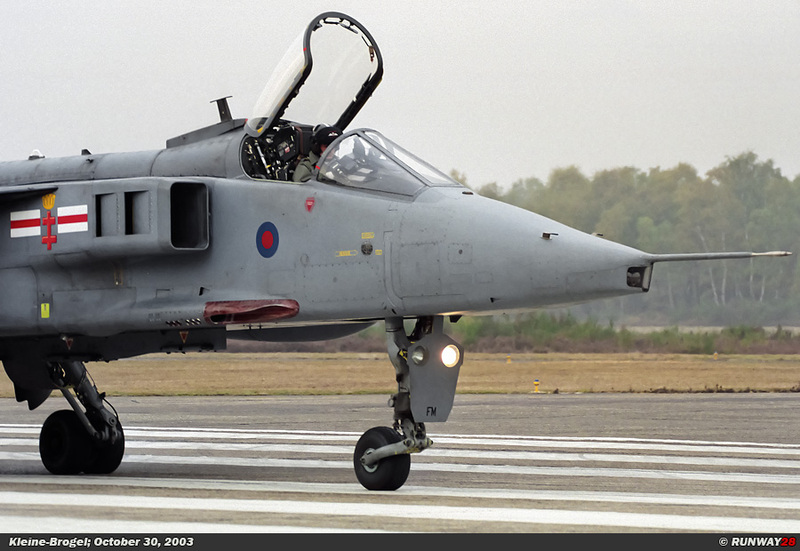 After dropping the parachute, the Phantom taxied back from the runway where I stood. 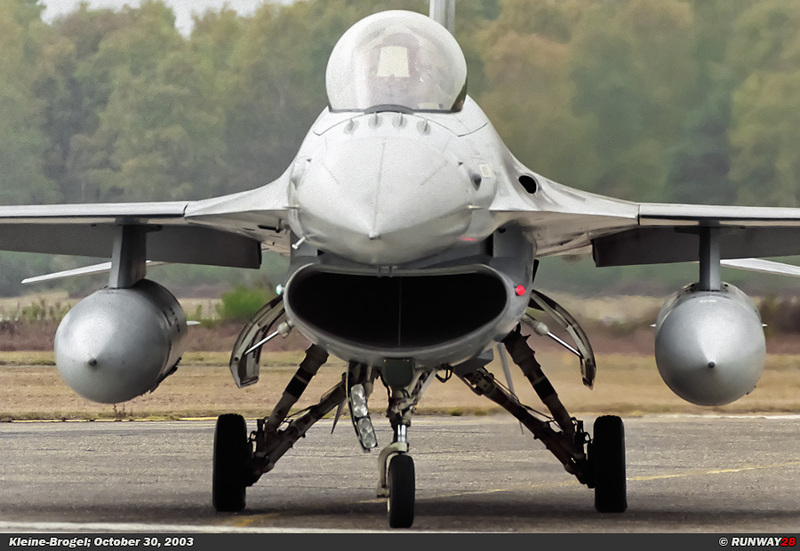 This brought me some beautiful pictures of this aircraft. 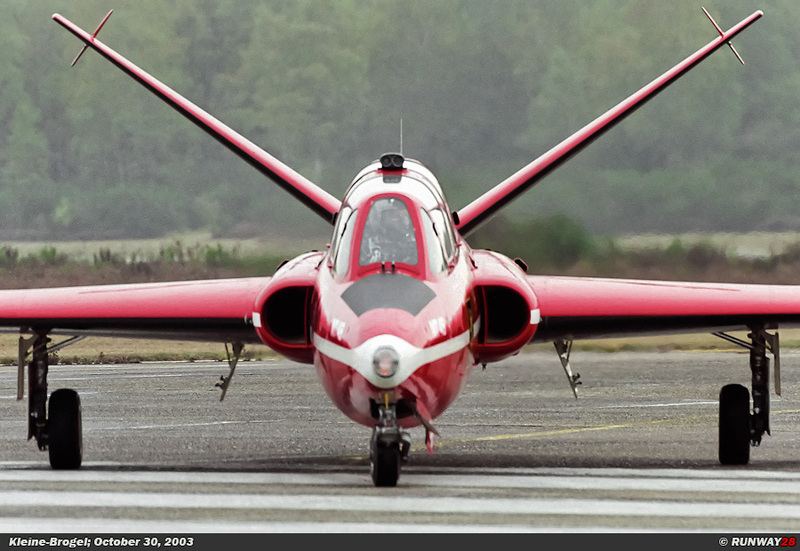 A Fouga Magister of the Belgian Air Force landed shortly after the Phantom. 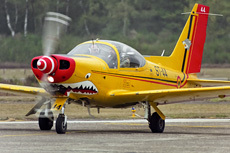 The small red aircraft makes a very sharp whistling sound as it passed during taxiing. 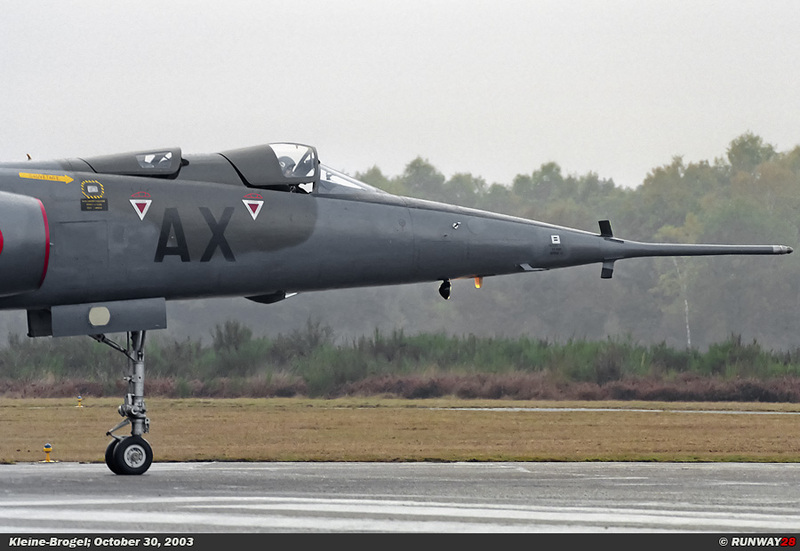 The Fouga Magister of the Belgian Air Force is stationed at Beauvechain Air Base near Brussels. 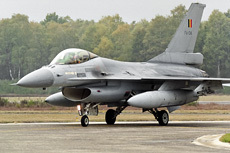 Also a number of Belgian F-16s of the 10th Wing returned from their mission. 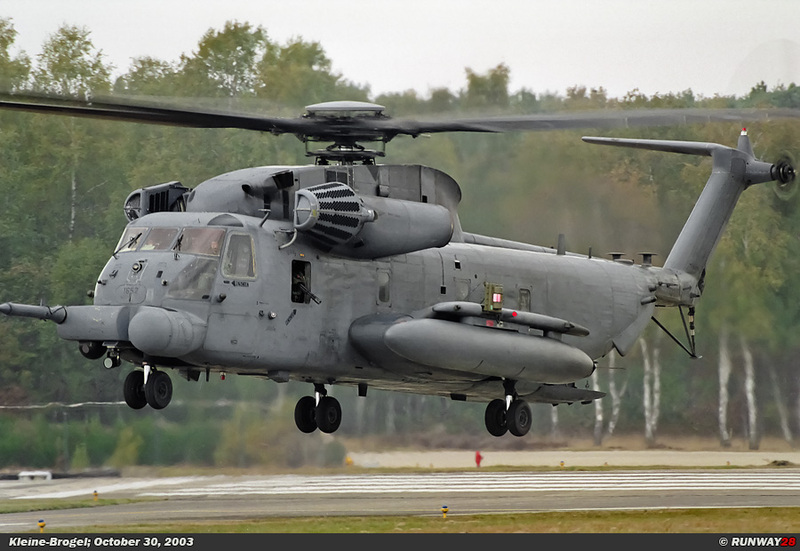 These aircraft would also taxi along me to the platform. 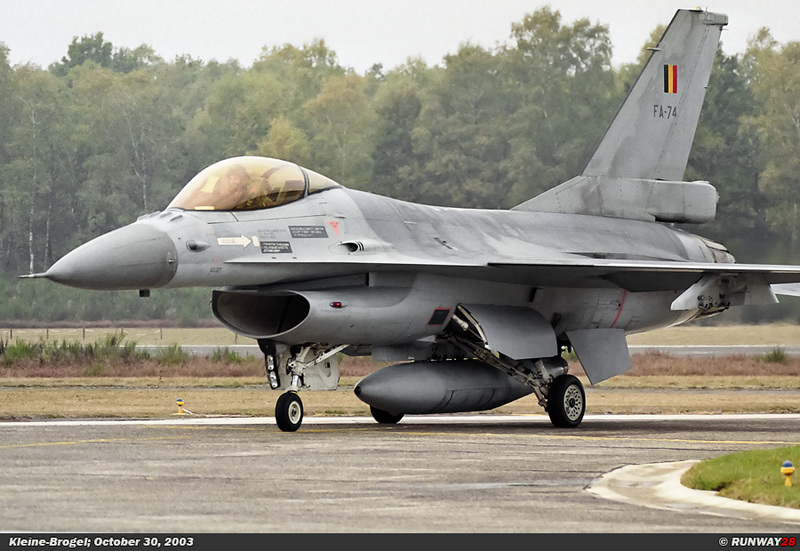 During the arrival of the Belgian F-16s also my highlight of the whole spotter’s day arrived. 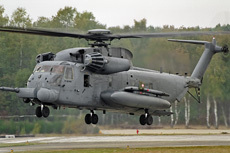 An American MH-53M of the 21st SOS from the U.S. airbase RAF Mildenhall in England arrived. The helicopter entered the airfield low over the trees and flew across the runway. 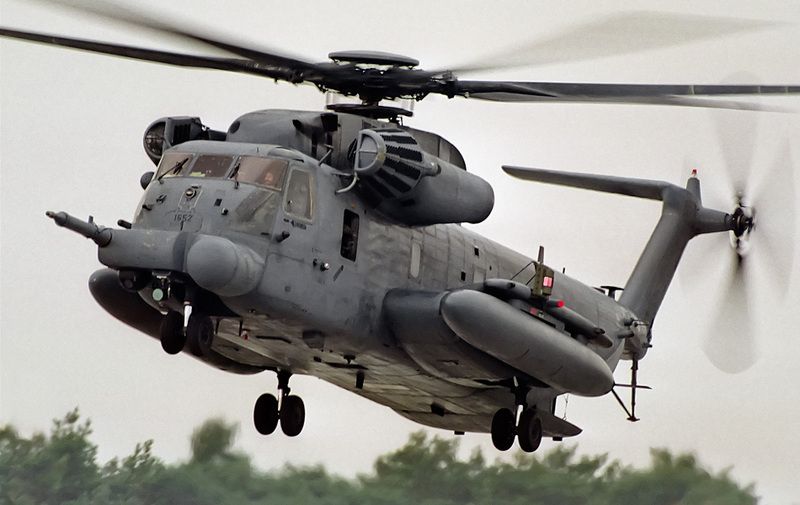 The helicopter went into a hover in front of the public; I was able to shoot some excellent photos. 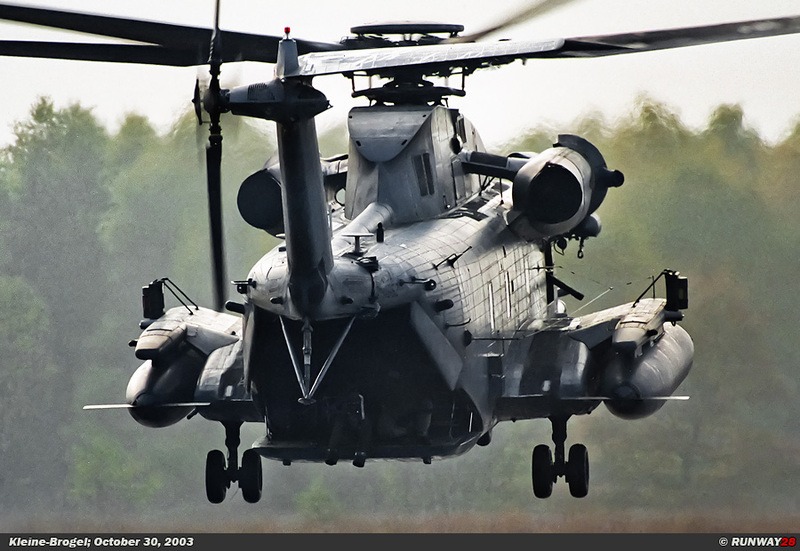 I was lucky to catch this large helicopter which went in front of me in a hover above the runway. 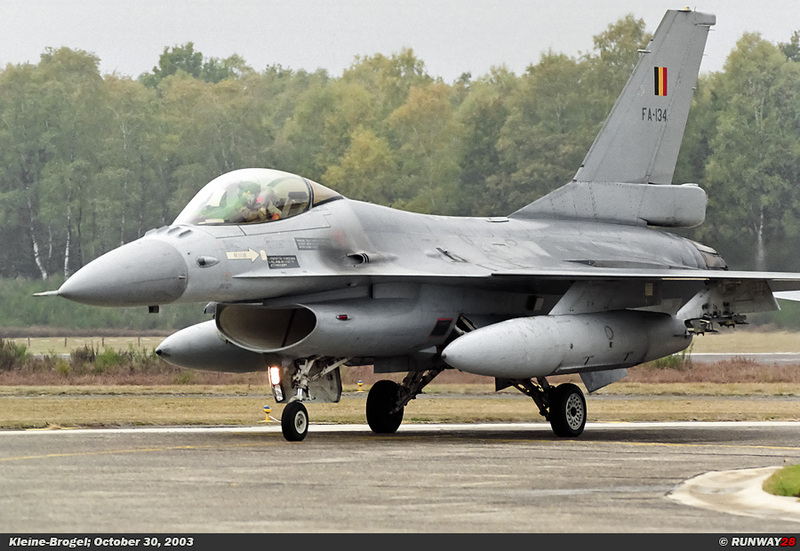 A number of F-16s of the Belgian Air Force appeared on the horizon after landing the MH-53M. 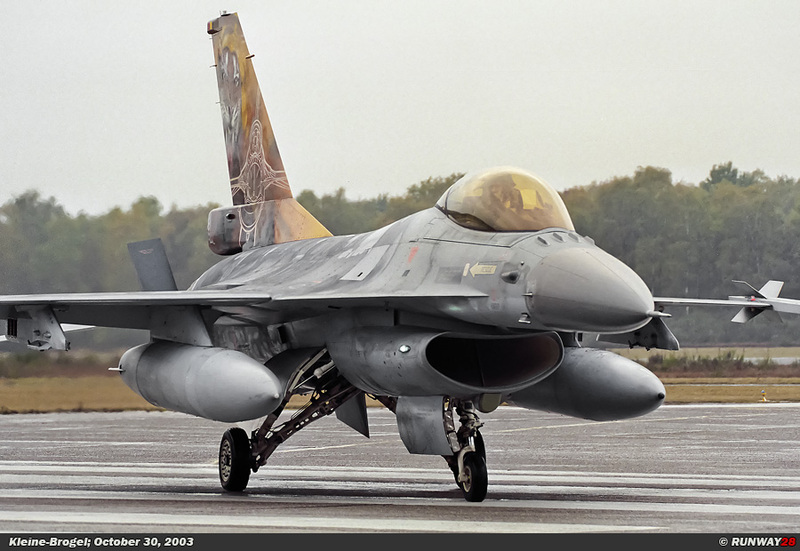 It was very easy for me to capture these F-16s while they passed me. 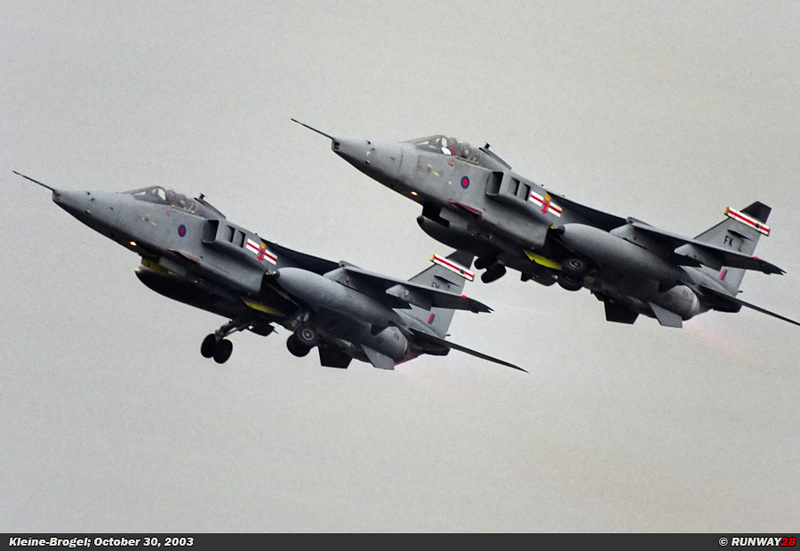 A pair of RAF Jaguars flew along in a tight formation. 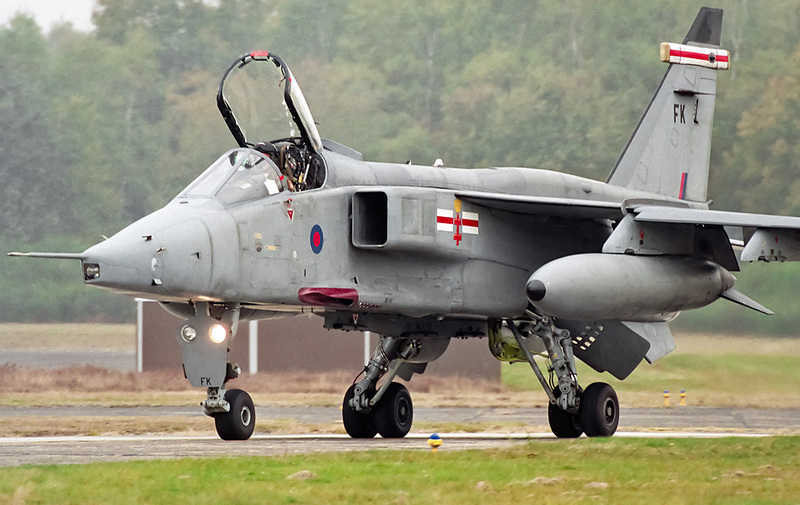 The two British Jaguars were also a highlight for me at the spotter’s day. 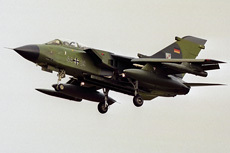 Also two Tornados’ from the German Marineflie- ger MFG-2 had left shortly after the departure of the Jaguars. 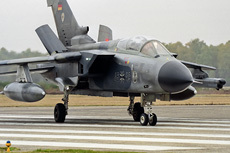 These Tornado’s were from the German airbase Eggebek in the northern part of Germany. 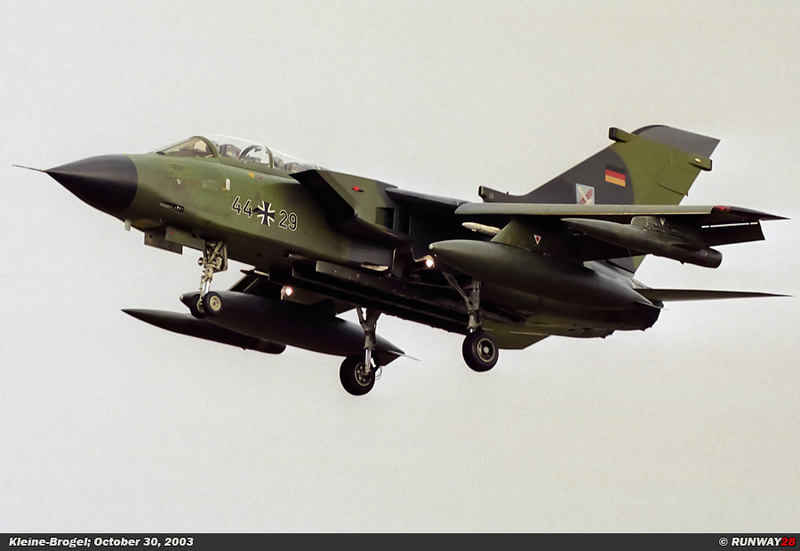 The aircraft stayed only a short period away, because both Tornadoes came in for landing within 45 minutes. 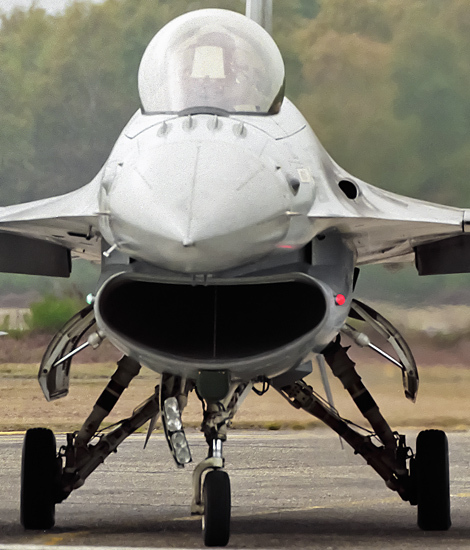 The beautiful blue and gray camouflaged aircraft taxied both along my lens. 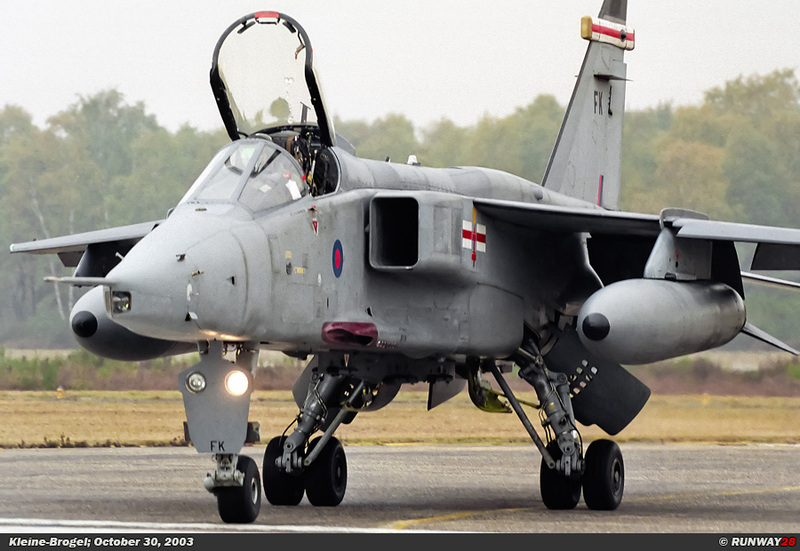 One of the Tornado pilots opened its air brakes when the aircraft taxied along me. 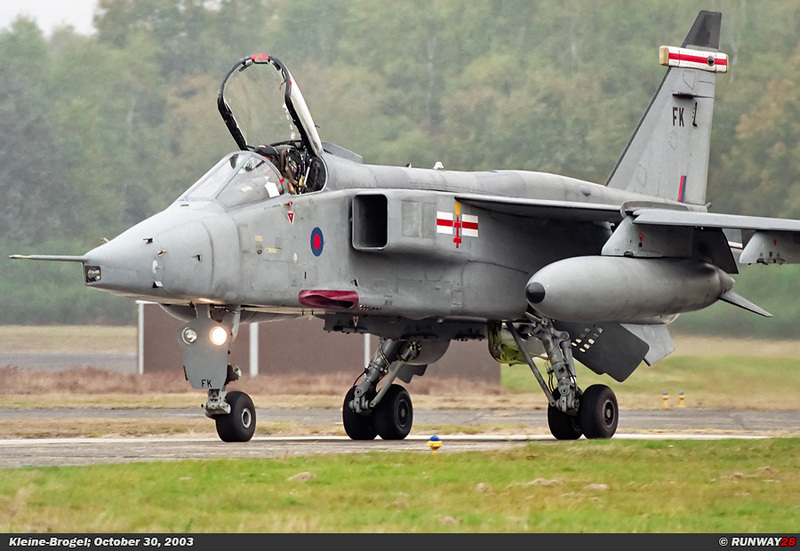 Also the two Jaguars arrived shortly after the landing of the Tornado’s. The two Jaguars were assigned to the no 41 Squadron which is based at RAF Coningsby. 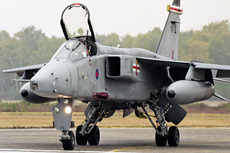 The no 41 Squadron is a test unit which is testing new weapons and tactics for the RAF. 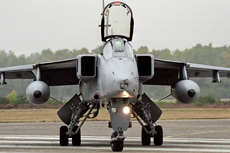 Both Jaguars taxied along me with opened canopies. 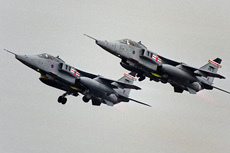 I was very pleased with these Jaguars, because you see the Jaguars of the no 41 Squadron not often. 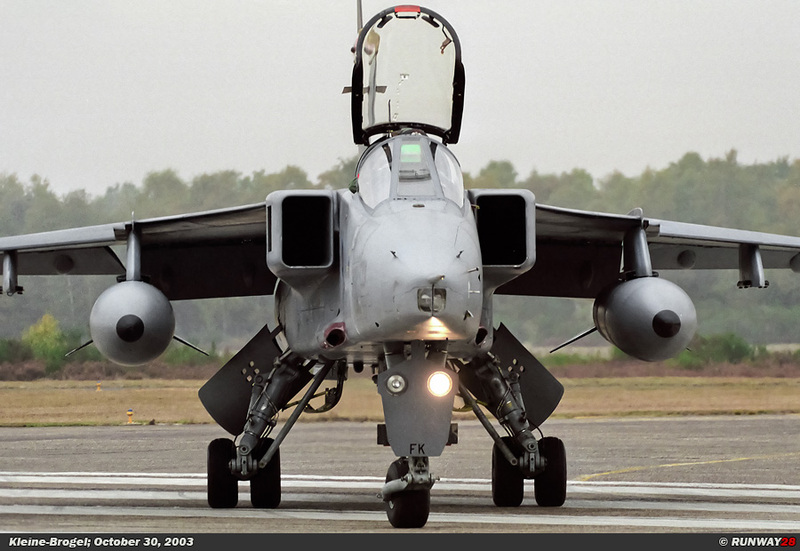 It was quiet after the landing of the Jaguars and I decided to capture some aircraft on the flightline. 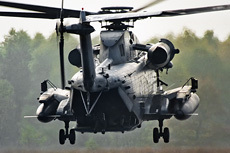 Most aircraft were completely covered on the static line which actually supposed to be a flightline. 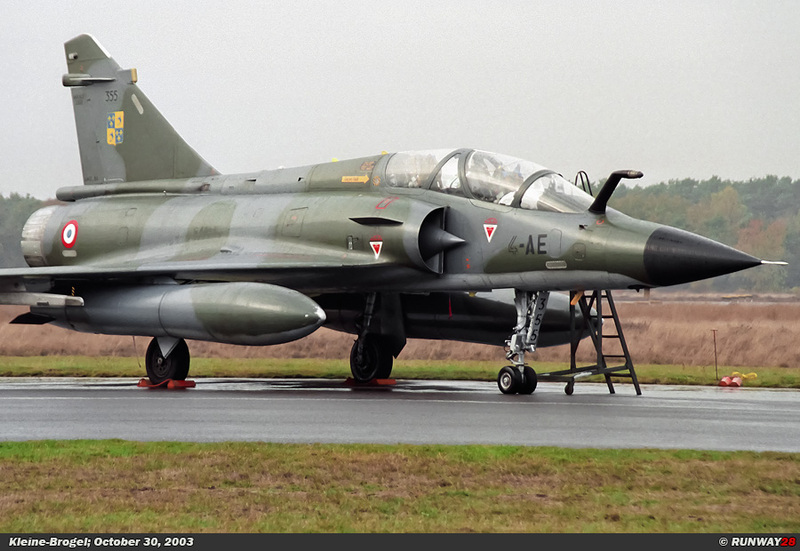 I managed to make a few beautiful shots of the Mirage 2000N on this line. 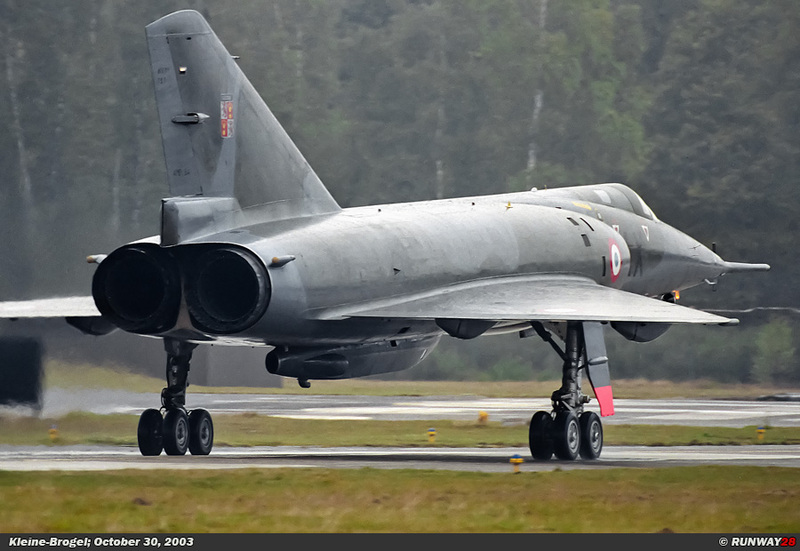 After a while, the Mirage IV went back to France. This large plane taxied down the runway towards me. 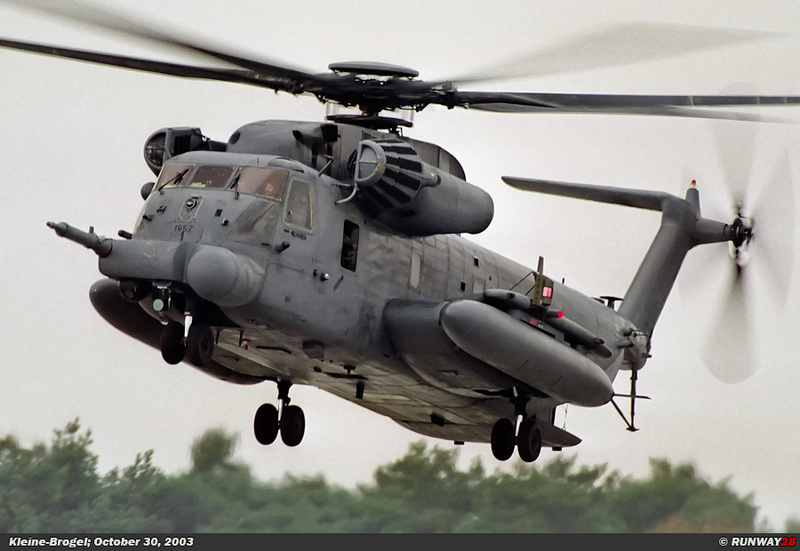 The MH-53M left home as well. My visit to Kleine-Brogel was over after this departure. Unfortunately the weather did not cooperate today, but despite the bad weather, I still made some great shots.